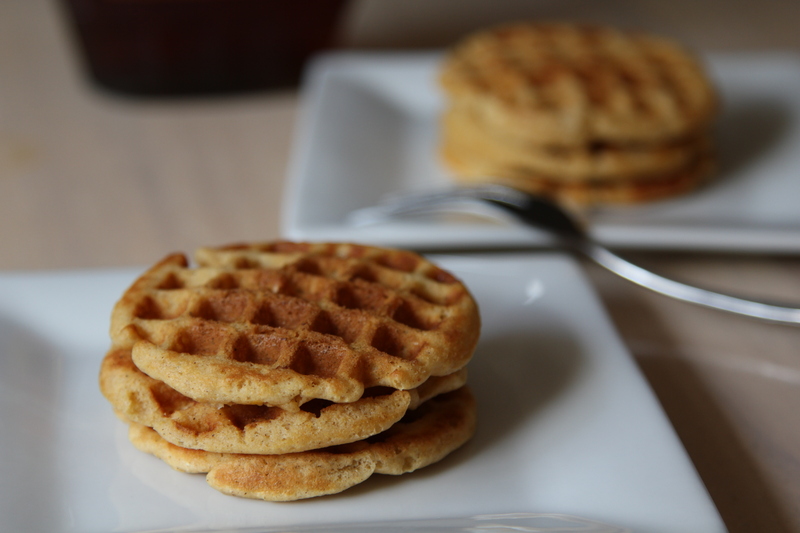 Pumpkin Waffled Pancakes – Cin Cin, Let's Eat! I woke up this morning craving pancakes…not just plain ol’ buttermilk pancakes, but some fluffy spiced pumpkin pancakes! I quickly whipped up a batch using the Trader Joe’s “Pumpkin Pancake and Waffle Mix” (Okay, I know I cheated, but it’s a good product! ), just when I was about to pour a ladle onto the hot griddle pan, I remembered this, which was a gift given to me by my Momma last year, and it’s been sitting in the cabinet ever since. I quickly switched out the griddle pan for this nifty waffled pancake pan. It’s really a fun little pan, and a great solution to solve that constant debate – pancakes or waffles? 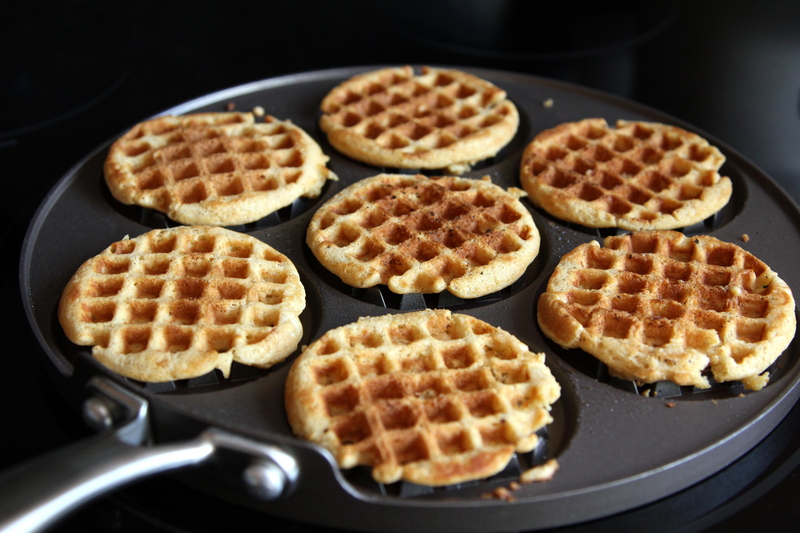 The final products are technically still pancakes, but you get a little bit of the crispy edges like waffles, and the little pockets from the waffle shape hold the syrup well. Here they are, flipped over. Here are two recipes I usually use when I don’t have the instand mix on hand. if you have Bisquick mix on hand, use this one from Betty Crocker. Overall, the pan is really easy to use, just need to make sure you grease it well before pouring the batter. I find that using a wooden skewer with a fork together makes the flipping process a lot easier. It certainly takes a bit more time than using a regular griddle pan, so it’s not something I would use on a daily basis. But it makes a great and uniformed presentation, perfect for a brunch party! That pan is too cool! 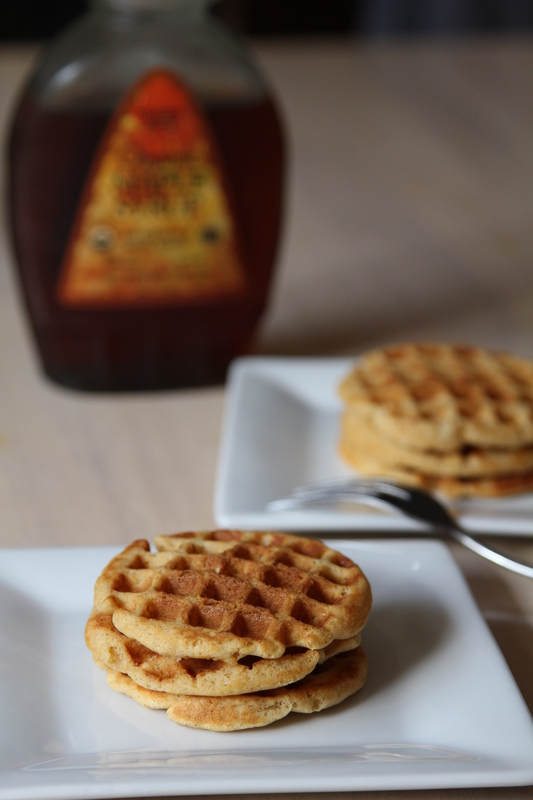 Fab hybrid solution to pumpkin vs. waffles! Wonder how these would taste with spekuloos (the graham cracker spread)?